You could call this Latin jazz with a Midwestern accent. 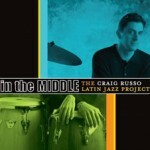 Percussionist Craig Russo and the Latin Jazz Project are a group of mostly mainstream players hailing from the Champaign-Urbana, Illinois neck of the woods, which is probably not what one would consider a hotbed of Latin culture. 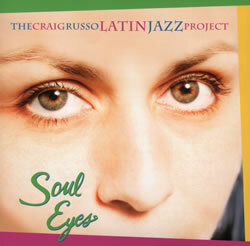 But they’ve put out a very tangy, jubilant and authentic set of Latin/Afro-Cuban sounds with Soul Eyes. “Sabor” opens the set, an upbeat mambo (is there any other kind?) 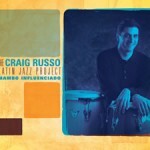 featuring a bubbling cacophony of percussion, with Russo using the congas, guiro and cowbell alongside Jeff Magby on the drum set. The title tune, Mal Waldron’s “Soul Eyes,” cha cha’s in next, with a fine cool alto sax solo by Douglas Little, followed by Jeff Helgesen blowing a brassy trumpet turn, in an arrangement that brings some of Dizzy Gillespie’s Latin grooves to mind. Timbales, congas, guiro, chekere, bongos—all these percolate behind the two-horn front lines throughout the session, and not in an obtrusive way; it’s all very incorporated, creating a feast for percussion fans, on mambos and cha chas and boleros and Afro-Cuban romps. Bobby Timmons’ “Moanin'” is the only tune without “the tinge,” a straight-ahead blowing workout reminiscent of Art Blakey’s take on the song, with trumpeter Jeff Helgesen sounding bright and brassy and very Lee Morgan-esque. 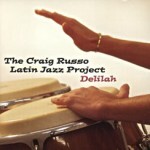 The highlight is a trio of back-to-back tunes: “Speak No Evil,” “ESP,” and “Maiden Voyage,” written by Wayne Shorter, Wayne Shorter and Herbie Hancock, respectively, in a Latinization of late-sixties post bop moods. 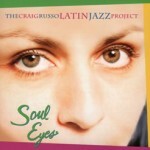 A fine set of mainstream tunes spiced up with percolating Latin rhythms.